Oh Rebels, have we got an episode for you! 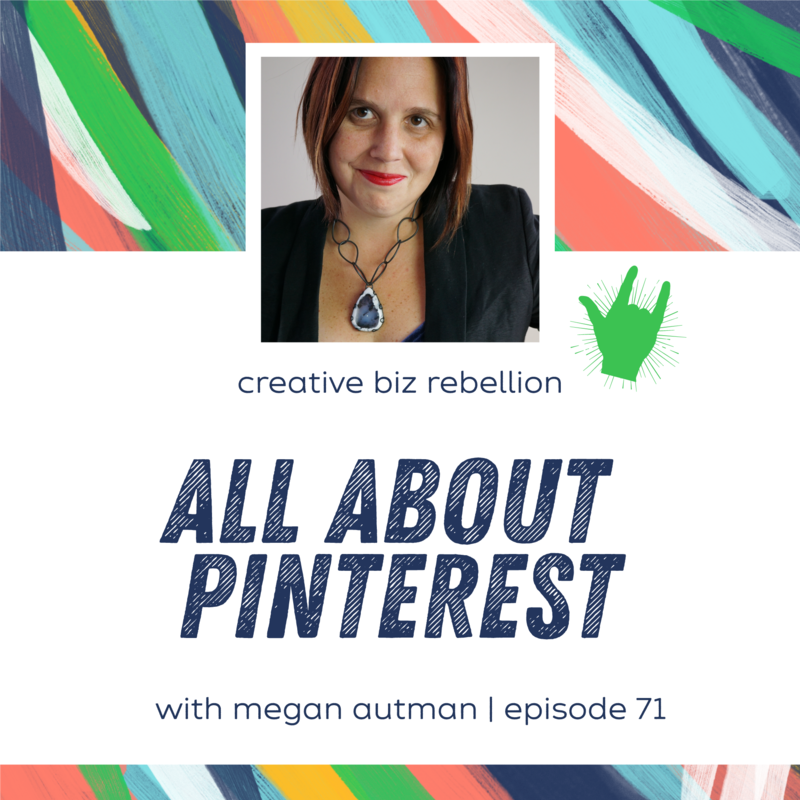 We chatted all things Pinterest with Megan Auman and this episode is full of information and gems. Megan helps us understand how to look at Pinterest as a “brand magazine” for our product based business, to what kinds of things to pin and how to incorporate it into your marketing strategy. Be sure to take notes! Megan Auman is a designer and metalsmith who has bridged that gap successfully in her business. Not only has she grown her following on Pinterest and Instagram, but she’s successfully leveraged both visual platforms to sell her jewelry. In addition to running her eponymous jewelry line, you’ll find her at designinganmba.com, talking and teaching about the intersection of art and business. Hey Rebels! We are so excited to be using Sudio’s Vasa Blå earphones! These wireless earphones have the perfect harmony of studio-quality sound and Scandinavian minimalist design. They feature carefully tuned internal drivers and amplifiers to separate distinct sounds within the music – giving you an authentic, almost-like-being-there listening experience! Plus, you get ultimate wireless freedom with up to 8 hours of unlimited play-time! Its unparalleled design, coupled with being the lightest on the market to-date, makes the Vasa Blå the perfect companion for any Bluetooth enabled device. To get a discount, use our special code CREATIVEBIZ at https://www.sudio.com/us/ & get yourself a pair! Awesome! We will check it out!